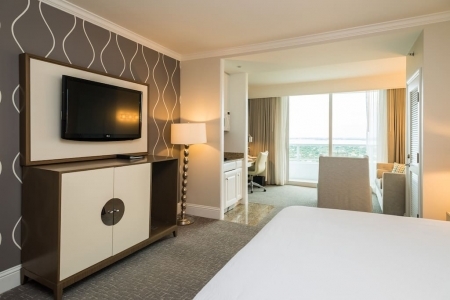 Located in the newly renovated 37-story all suite Tresor Tower, the Tresor Junior suite offers 500 square feet of plush comfort featuring a balcony with sweeping views of Biscayne Bay or downtown Miami. 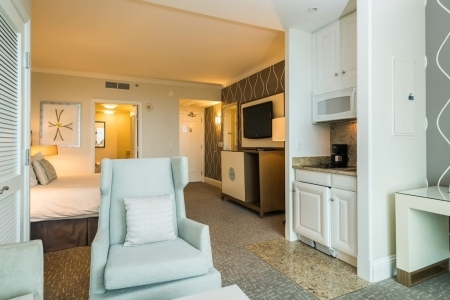 The Junior Suite is uniquely enhanced with sophisticated amenities including a Kitchenette with mini-refrigerator, sink and microwave. Free Valet Parking ($40 per day savings) and 2 free Spa passes for free entrance to the spa($75 per day savings). 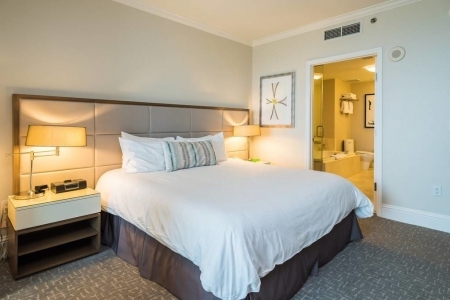 $250 per night flat rate with no tax and the cleaning fee is $50 plus tax every other day or one time cleaning at exit is $125 plus tax.